The information contained in this website is for general information and/or entertainment purposes only. 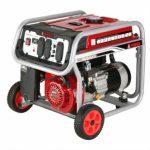 The information is provided by Portable Generators Rated and while we endeavor to keep the information up to date and correct, we make no representations or warranties of any kind, express or implied, about the completeness, accuracy, reliability, suitability or availability with respect to the website or the information, products, services, or related graphics contained on the website for any purpose. Any reliance you place on such information is therefore strictly at your own risk. Most of the products listed on our blog posts return a small commission for their referral, however, this is not the motivation for featuring them. We are never directly compensated to provide opinion on products, services, websites and various other topics. The views and opinions expressed on this website are purely those of the authors. Any product claim, statistic, quote or other representation about a product or service should be verified with the manufacturer or provider. 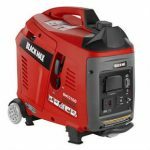 It is important to also note that portablegeneratorsrated.com is a participant in the Amazon Services LLC Associates Program, an affiliate advertising program designed to provide a means for website owners to earn advertising fees by advertising and linking to Amazon.com. 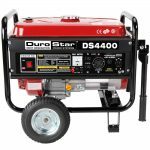 DuroStar DS4400 Review – How Good Is This Generator? 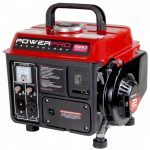 © 2016-2018 Portable Generators Rated. All Rights Reserved. 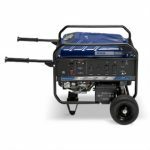 portablegeneratorsrated.com is a participant in the Amazon Services LLC Associates Program, an affiliate advertising program designed to provide a means for sites to earn advertising fees by advertising and linking to amazon.com.